While I suspect that I was asked to reviewExperimental Architecture in Los Angeles and its essays by Aaron Betsky, John Chase, and LeonWhiteson in order to provide an “East Coast” point of view, these comments are being written during a brief stay in Vienna. The change in venue isn’t altogether inappropriate: perhaps more than New York, Vienna represents the counterpoint to Schindler and Neutra’s city of the future. In this and other trips here I have found that mostdiscussions about Viennese architecture are necessarily elliptical that is, the broader question of Vienna’s cultural structure cannot belong ignored. Reflections on the architecture of Los Angeles would seem to have the same imperative-that is, the three essays in Experimental Architecture are, for the most part, more culturalanalysis than strict architectural criticism. The essays represent, on one hand, the refinement ofcertain accepted positions on the cultural flux of Southern California. I’m thinking of Betsky’s “Adam-as-surfer / man-machine satyr” duality in this instance. Similarly, Whiteson’s borrowing of the term “first growth” from the language of forestry, is particularly useful in understanding Los Angeles’ overlapping patterns of growth-decay rejuvenation. Other elements of the essays go beyond historically developed analyses and provide a prescient contemporaneous view of the cultural framework of Southern California. Given the recent unrest in Los Angeles, Whiteson’s citation of gang activity, race, and economic imbalance and Betsky’sreferences to the dark side of technology frame a picture of Los Angeles that is more turbulent than Esther McCoy or Reyner Banham may have ever been able to foresee. Despite the East Coast-West Coast competition implied in the essays, it certainly gives no satisfaction to recognize Los Angeles’ recent agonies. If Edward Ruscha’s Burning Gas Station takes on new meanings in light of the riots, from my point of view these meanings are more universal than specific to Los Angeles. Betsky’s optimistic assertion that, despite the dark clouds on the horizon, a culturally relevant architecture can be “found, projected and constructed” is reminiscent, perhaps intentionally, of Henry-Russell Hitchcock’s triumphant postscript to The International Style “We have an architecture still.” Betsky may well be correct but the essayists’ reliance on analysis and description is, at times, at the expense of specific criticism. In this regard Whiteson’s closing comments wherein he seemingly defends Southern California’s “fertile confusions, engaging shallowness, bland barbarities and shameless self-love” are remarkably disengaged. Betsky raises the issue of a critical stance by insisting that architecture have a “political” (read “moral”-you can’t get around it even in a post-rationalist world) position. Yet, even here he hedges about making “value judgments” since they have “pockmarked our cities with well-intentioned disasters.” Never mind for the moment that Betsky and the other essayists devote much of their effort to portraying Los Angeles as precisely that-a well-intentioned (though well-loved) disaster. More to the point, it is hard to think of Los Angeles’ great cultural monuments without thinking of the uniquely Southern California “value judgments” which they represent: the Case Study Houses, Neutra’s Lovell Health House and Rush City proposals, Gill’s courtyard apartments, Wright’s Doheny Ranch development, etc. Betsky’s hesitations about “value judgments” ultimately give way to his conviction that the problems of Los Angeles will not be solved by simply tinkering with the status quo: “the role of the architect is to create compelling visions of transformation that can be erected against the purely destructive forces inherent in the economic and social structure of the city.” At a time when “vision” is sadly confused with the cybernetic bungey-jumping of virtual reality, Betsky’s call to arms is indeed welcome. In his essay, Chase pursues themes that are more explicitly architectural. In his opening remarks he reminds the reader that the “avant-garde” of Southern California has always been supported by a minority of clients: like Europe of the 1930s, the most interesting of the built projects inExperimental Architecture are private houses or other small scale commissions. These projects do, indeed, bear out the essayists’ enthusiasms for the architectural climate of Southern California. For example, both the formal innovation and the lyrical quality of Victoria Casasco’s newer work seems far removed from that of the offices with which she was formerly associated. Similarly, the work of the Central Office for Architecture, with their solid California credentials, convincingly supports the book’s premise on a variety of scales and issues: the “second growth” house, the automotive environment and a persuasive vision (regrettably one of the few). Los Angeles as a metropolis: Site Works. Unfortunately, there are fewer illustrations of this urban project than of most houses in the book, despite the fact that it was chosen as the cover illustration. Similarly, the format slights Guthrie + Buresh’s Sport Center and Wagner + Webb’s Santa Monica Stone Garden, both of which appear to deserve more scrutiny. 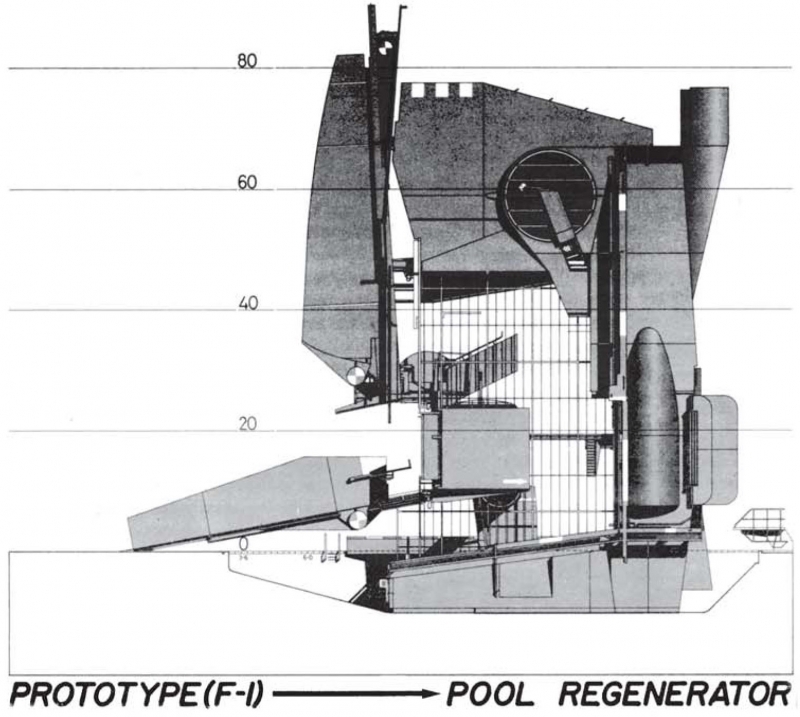 Michael Burch’s McMahon Residence Addition is another intelligent commentary on the idea of “tear-down” construction. If the result could be as articulate as the model it is a pity that it is only presented as a projected work. In contrast to the exuberance which characterizes much of the work in Experimental Architecture, the Office of Charles and Elizabeth Lee’s UCLA Childcare Center “screams” restraint. This piece of high modernism presents a level of technocratic polish that is not frequently associated with Southern California; the influence of their stint in the office of Norman Foster is apparent. I. M. Pei’s Creative Artists Agency in Beverly Hills has a similar attitude, though the ephemeral qualities of the Childcare Center seem more appropriate than Pei’s monumentally opaque structure. If the Lees’ Childcare Center is restrained, it is also not the “cheap construction” frequently alluded to by the essays. In fact, the inclusion of Casasco’s Aznar Residence, Ron McCoy’s Grossman Residence, and Michele Saee’s and Hubert / Zelnio’s various projects, which all display a more precise attitude towards the architectonic possibilities of finely wrought details, raises some questions: Is “cheap construction” a value in itself? Are the architects who work in sheet-rock and plywood arguing, a la Gropius, that finely crafted construction is an anachronism? Certainly O’Herlihy + Warner’s house in Malibu is related, in its simple planning and its emphasis on space rather than material commodity, to the work of J. J. P. Oud. Yet even he confessed that he would have liked to have received more substantial commissions even as his beautifully designed social housing projects in Rotterdam brought him an international reputation. Without diminishing the accomplishments of those working with the most meager of budgets, I suspect that many of the architects working with cheap materials wouldn’t mind the chance to do otherwise. If, for the moment, the projects illustrated were seen as a commentary on the essays, there are several denials of Betsky’s assertion that the work in Experimental Architecture is “resolutely modern.” RAW Architecture’s Platinum Triangle Collagen Medical Group Offices may have a program (if it is what I think it is) that is unique to the late twentieth century, though I think the designers are more influenced by the postmodern pop imagery of Charles Moore than any source that might be called “modern.” Similarly, Barham Shirdel and Andrew Zago’s projects should not be subsumed under the same rubric that describes Neil Denari’s. 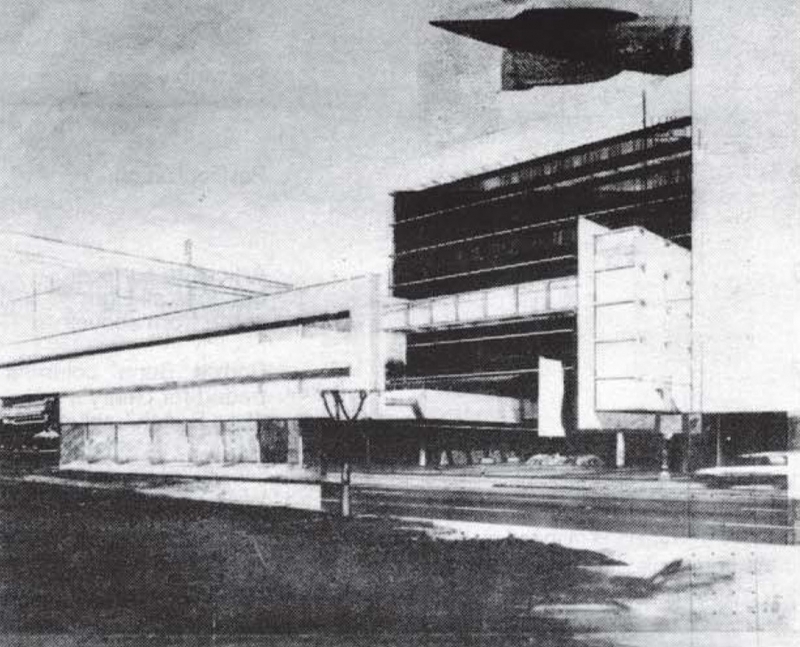 The latter does indeed express a “faith in the ability to construct an alternative physical environment,” but the importance of AKS Runo’s work is its challenge to the technocratic objectivity at the heart of Denari’s work. Chase also describes AKS Runo’s Olympic West project in positivist terms, citing its attempt to “create a more clearly defined sense of place.” It seems to me to be the opposite: if any of the designers in Experimental Architecture have made a serious attempt to grapple with the implications of poststructuralist philosophy, it is Shirdel and Zago. It may well be that as projects such as this transfer from the hothouse of philosophical debate to realization they may be seen, by the general public at least, as more” modern” than anything else. Nevertheless, AKS Runo’s work deserves the ideological debate that it aspires to provoke. Certain omissions, such as the work of Fred Fisher and Angelil + Graham, are not wholly explicable given the overall breadth of the book. Even so,Experimental Architecture is a serious and comprehensive attempt to portray a new generation of Los Angeles architects. Given the history of the architectural avant-garde it is interesting to speculate whether in, say, ten years time it will be possible to put the same architects in a single volume. The success of the book may, ultimately, be achieved when it becomes outdated.